It’s never a bad time to invest in your personal health. As the spring progresses, I’ve found myself starting to dream about the summer backpacking trips I hope to take once I land back in Tahoe. With those dreams, though, comes the realization that it might take a few small trips to work my way back into shape. Better yet, how can I be trail ready when I hit the ground in April? In this article, I’m going to offer some of the most popular tips for how to get into hiking shape. Side note: If you’re already in hiking shape and are interested in product reviews, be sure to check out my Outdoor Gear and Backpack Reviews pages for reviews on water filters, tents, hiking shoes, trekking poles, and backpacks from brands like Kelty, REI, Gregory, and more. Also, check out my Tips and Trails page for more hiking tips and trail recommendations! 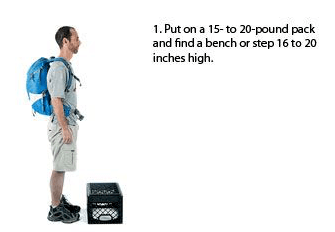 There are a number of basic essential exercises that you can use to get into hiking shape. For starters, there’s really no substitute for a regular running or walking routine. For the best results, run or walk regularly in sand, which helps to build the muscles that provide protection to the joints and ligaments of your knees and ankles. When it comes to regular body weight exercises that you can incorporate into your daily routine, squats, lunges, and step ups will help you build the lower body muscles that you’ll need to be comfortable hiking for miles at a time. As your strength grows, start wearing your backpack with weight in it. Start with somewhere around 20 pounds and then add 5 pounds per week until you reach the weight you anticipate carrying on most of your backpacking trips. Crunches and push-ups are also great additions to your regular regimen of body weight exercises. Core strength is critical to lower body stability over many miles. Push-ups will help to strengthen the shoulder and back muscles that will be supporting the weight of your pack. If you happen to travel to a beach location when there’s snow high up in the mountains, surfing is also a great exercise to strengthen your core, shoulder, and back muscles. Conditioning can be as simple as walking on a nearby trail 2-3 times a week. If you live in an urban environment, the treadmill or stationary bike is a great substitute for trail walking or running. Even if you’re not a regular runner, going out for small jogs is a great place to start because it elevates your heart rate and helps to improve your overall lung capacity. This will make you more ready to push your body to higher limits on your next hiking trip. As your body gets stronger, you can add ankle weights to push things even further. When heading out for a conditioning walk or run, make sure you stay out for at least 30 minutes. This gives your body enough time to elevate your heart rate, keep it elevated, and ultimately lends to improved conditioning. Another good tip for your conditioning exercises is to wear the same shoes you plan to wear for hiking. This helps your body adjust to them and also helps you break the shoes in so that you don’t suffer blisters or hot spots when you do start hiking. For the first three weeks, commit to strength training three days a week. Each of these strength training sessions should be about one hour in duration and can include a variety of exercises, such as the squats, lunges, and step-ups we mentioned earlier. At first, it’s totally fine to start out with just your body weight, but as you gain strength start adding weight via a backpack, dumbbells, or ankle weights. For the next three weeks, continue with strength training three days a week for one hour each time, but add at least one day of conditioning as well. This conditioning should be at a moderate intensity and could come in the form of jogging, running, or walking. Try to make these weekly conditioning exercises last at least 45 minutes. For the final two weeks, double the length of your weekly conditioning exercises, so that you’re jogging, walking, or running for somewhere between 1.5 and 2 hours, at the least. You should also think about increasing the intensity of these conditioning sessions. For example, if you started out walking, move up to jogging. If you began by jogging, start running at a faster pace. If you started off running from the get-go, challenge yourself by tracking how far you typically run in a 45-minute session and doubling that (plus a few miles) for your 1.5 to 2-hour sessions. One of the best joys of hiking is the reward of standing on top of a new mountain you’ve just conquered. 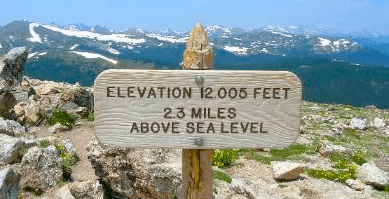 It was John Butler who said, “The pure experience of climbing a mountain can be more helpful than a head full of facts.” If you live close to sea level, however, it’s important to take precautions when heading up to elevation to conquer that mountain. The first important step is to allow yourself time to acclimate to a new elevation. Even going from sea level to 6,000 feet can require at least one full 24-hour cycle for your body to acclimate before heading out for a strenuous hike. As you climb to higher elevations, the importance of making gradual gains only grows. Spreading your climbing out is the best way to avoid altitude sickness. Hydration is also a key factor when preparing for hikes in high elevation. Because higher elevations are also typically less humid, your body will need even more water than you typically drink at home. In addition, excessive consumption of alcohol is a great way to set your body up to feel the effects of high elevation. Eating can also help your body acclimate, as our bodies burn more calories when we’re working harder and, just by nature of the air being thinner at higher elevations, our bodies work harder in general when compared to life at sea level. 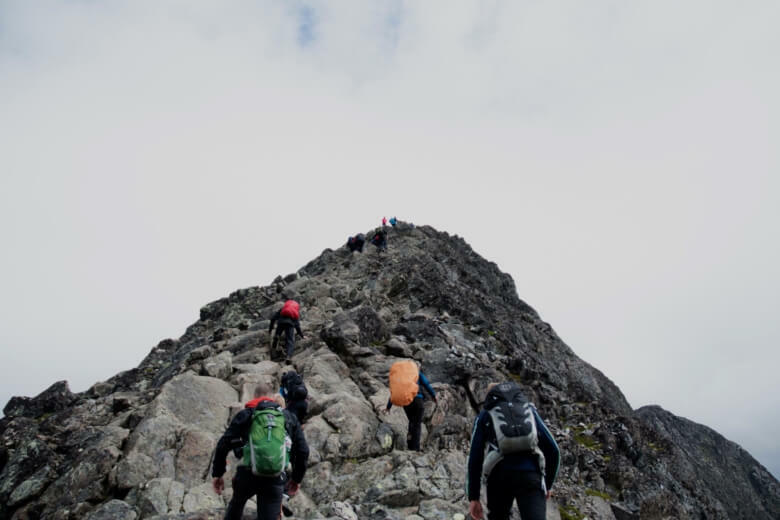 If you do start to feel any of the symptoms of altitude sickness, such as headaches, nausea, and insomnia, retreating back to a lower elevation is the best way to alleviate these symptoms. If you have to stay at that elevation for a while, rest, hydration, and, in the worst cases, appropriate painkillers are the best remedies. Hiking can be just as mentally challenging as it is physically. Generally, longer hikes are always going to require more mental fortitude, but it’s important to keep in perspective why you want to get into hiking shape in the first place. Are you doing it just to impress someone else? Are you doing it just so that you can post that cool Instagram photo on your feed? Hiking is a lifelong passion that comes with a variety of health benefits in and of itself, for both your body and your mind. Perhaps not surprisingly, the best way to get into hiking shape is just to GO HIKING! Sure, you may not be able to tackle a ten-miler on Day 1. And you may not ever work yourself into the kind of shape you’d need to be in to hike the entirety of the Pacific Crest Trail. But it’s important, from a mental perspective, that we not compare our journey excessively to the journey of others. Hiking should provide you with an intrinsic reward. The good news is that, even if you only hike for one mile on one day a week, you can call yourself a hiker! The most important thing is that you’re taking time to disconnect from technology, step outside, listen and observe into the natural world, and tune into your senses. Are These Tips to Get into Hiking Shape Helpful? As The Backpack Guide, I’m always looking for new trails and wildernesses to explore and I’m also interested in the experiences of others in the wild. Now that you’ve read this article, I’d love to know if these suggestions are new to you and, if so, what you think about putting them into practice to prepare for your next backpacking or hiking trip. If this article brought up any questions, I’d love to hear them! 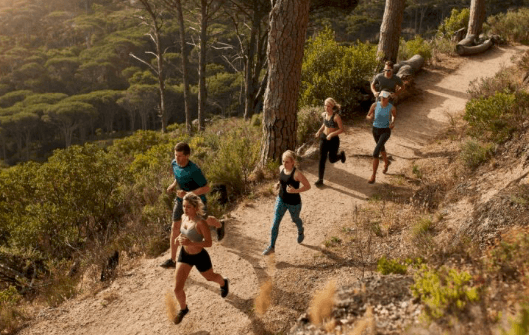 I hope you’ve enjoyed these Tips to Get Into Hiking Shape and I’d love to hear your feedback in the comments section below. I’ll be quick to reply to any questions, comments, or concerns you feel like sharing!